Laying down the law isn't always serious business. 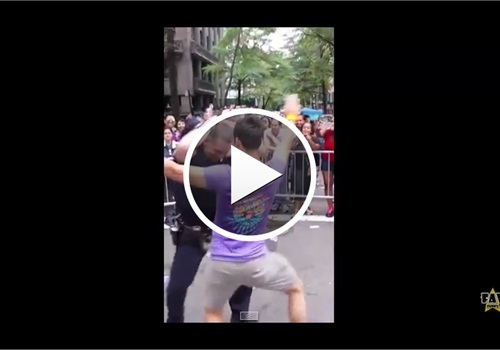 A New York City police officer showed off his dance moves during the city's Gay Pride parade Sunday. A 12-second clip shows what appears to be an NYPD officer backing it up and shaking what his mama gave him with a man who was marching in the parade. The cell phone video was uploaded to YouTube Sunday and already has over two million views, USA Today reports.